I’ve a rule and that’s to always have plan B no matter how certain particular path, project or goal is. I’ve a few good reasons why I do that. Sometimes I hear “back to the drawing board” and I’m surprised that developing plan B is not commonplace. In my world, there should always be a plan B. Plan B forces me to develop alternative options. I learn a lot from those alternative options and often can improve plan A as well just by developing them. Plan B also helps me to evaluate plan A. Sometimes I figure out that plan A shouldn’t be plan A at all. Plan B enables me to change tacks when plan A fails. This is the most obvious one of course. But the biggest one is that if I can’t develop a viable believable plan B, there’s something odd about plan A. That’s the most valuable lesson here. If there is no plan B than plan A is wrong. 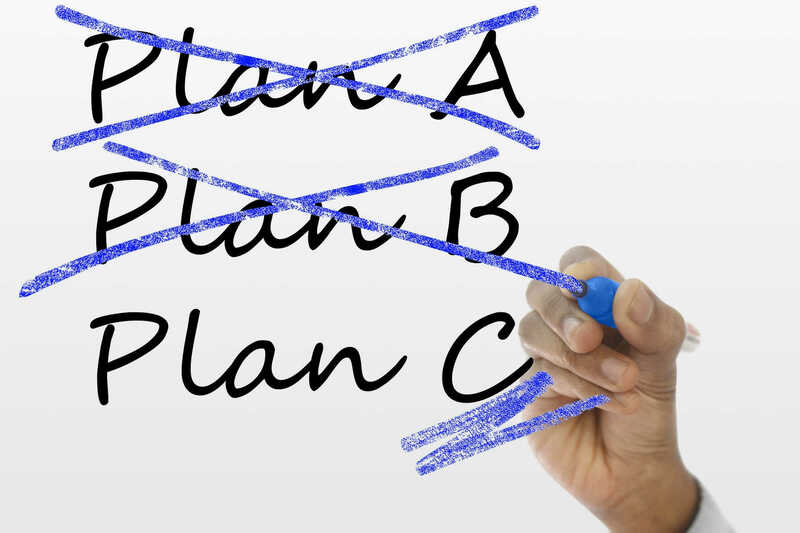 It should always be possible to develop plan B and preferably you could come up with plan C, D, etc. If you find it hard or impossible to do, you should seriously think of plan A. It might not be the best plan you’ve ever had.